the City Centre with the Pulkovo International airport. 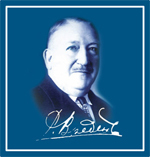 The organizer of the annual scientific conference "Vreden reading" is the Vreden Russian Research Institute of Traumatology and Orthopedics, one of Russia's largest clinical, research and educational institutions with more than 100-year history. The idea of the scientific-practical conference "Vreden reading", was born in 2006 during the celebration of the anniversary of the institute. 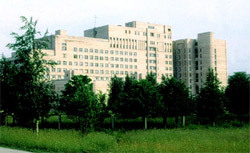 Since 2007, the conference is held annually and is named after the first director of the Institute for Roman Romanovich Vreden. It is attended by leading experts not only from Russia and the CIS countries, but also by foreign specialists as well. In addition to exploring new technologies and advances in the treatment of multiple injuries and diseases of the musculoskeletal system, the conference is educational in nature, where young orthopedic specialists have a chance to learn and participate. 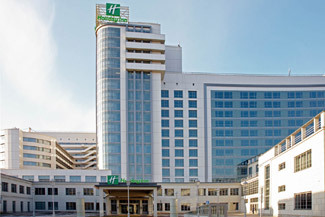 The Holiday Inn Saint-Petersburg - Moskovskye Vorota - is a new Congress hotel perfectly situated in the central part of the city, on the Moskovsky Prospect which connects the City Centre with the Pulkovo International airport. The Holiday Inn Saint-Petersburg - Moskovskye Vorota has 557 spacious modern Standard, Executive, Deluxe rooms and Suites. All rooms come with great beds, high-speed internet connection, a notebook size in-room safe, iron board.